Fun & Charity - Where fun leads to charity. 2014 League is here...NEW FORMAT, MORE PRIZES, RAFFLE, updated rules. When August 16th and August 23rd. Play begins at 7.15 AM and in the evening from 4 PM on both days. There is also a reserve day (August 24th or 30th). We will make sure that the timings will not conflict with ACL. Fee is $120 for a team of 6 players. Each additional player is $20. Only the registered 8 players, on or before August 16th, will be qualified to play in rest of the remaining games like quarters, semis and finals. Rally scoring. 21 point sets. Where will be my money spent? Format Teams that moved to round 2 (after playoffs) will be split into TWO leagues: Star and Premium. Prizes will be awarded for winners, runners and 3rd place in each of the leagues. Ball that will be used for the tournament. Click here to purchase. We are a group of volleyball enthusiasts playing together since summer of 2007. 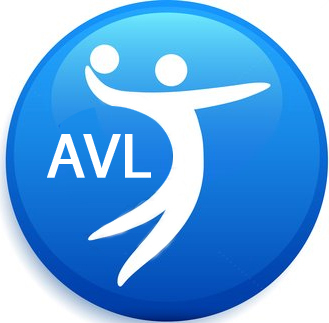 We organized the first volleyball league on July 21st, 2007. The mission of Fun & Charity group is to organize the league summer of every year and donate the collected fee to a charity organization. Money raised from 2012 leagues is spent in the assistance and rehabilitation of bereaved family members of farmers who committed suicide in the years of 2010 and 2011.The fee from 2011 league was donated to school of mentally challenged kids and the 2010 league fee was donated to Mother Teresa's Missionaries of Charity. Lots of fun with trophies for winners, runners, 3rd place. New tournament format. Collected fee (minus expenses) is donated to charity. 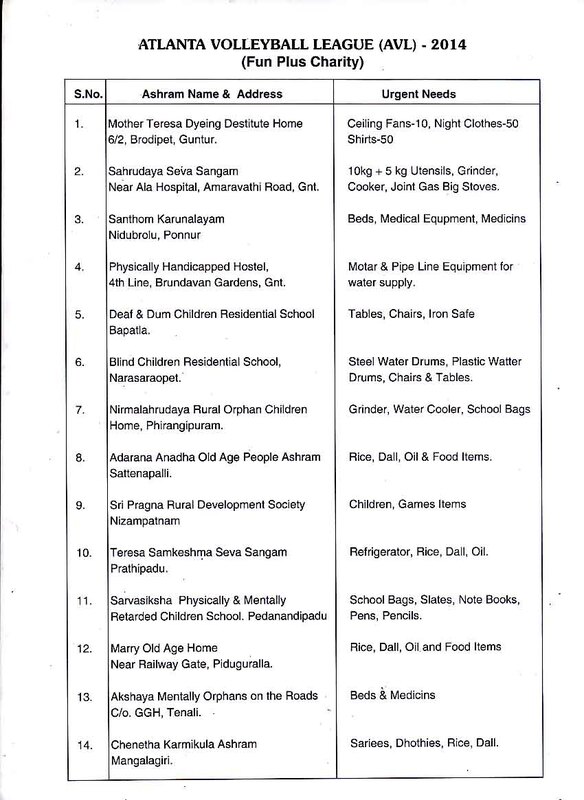 Money raised from 2013 league is used to purchase medicines for 975 poor children in Government General Hospital, Guntur. $200 is micro-financed through Kiva. Money raised from 2012 leagues is spent in the assistance and rehabilitation of bereaved family members of farmers who committed suicide in the years of 2010 and 2011. Money raised from 2011 league was donated to school of mentally challenged kids. The 2010 league fee was donated to Mother Teresa's Missionaries of Charity. There was limited participation in 2007 leagues and all the collected money was used for the trophies and other expenses. Sri Bala Bharathi is a registered child serving organization (NGO) based in Guntur, Andhra Pradesh. Sri Bala Bharathi was established on childrens day, 14th November, 1990. Since then, it is actively engaged in helping the children in need. Sri Bala Bharati believes that Service to children is service to God. It has never approached the government for its charity activities but the local philanthropists have been supporting its programs. Sri Bala Bharathi follows the principle of transparency in all of its social activities and most of them are organized in the presence of the donors.